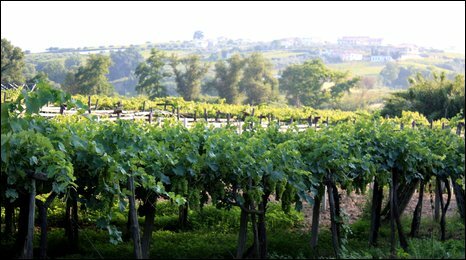 Warmed by the sun, the famous Montepulciano d'Abruzzo grapes are slowly sweetening in vineyards that slope gently towards the sea. It seems an unlikely scene for a battle. Yet the fight over the future of this tiny patch of land in central Italy symbolises the conflict between the country's need for energy and its goal - affirmed once more at the G8 summit in the same region - to reduce its use of carbon-based fuels and protect the environment. Italy is one of the most energy-dependent states within the G8 - importing at least 80% of its oil and gas needs. It sources some 7% of its energy needs from oilfields within Italy, and the Abruzzo region is believed to have untapped supplies beneath its mountains, olive groves and beaches. In the coastal town of Ortona, the struggle between an oil giant, local politicians and entrepreneurs on the one hand and web-savvy campaigners, residents and agriculturalists on the other over plans for an oil refinery in the middle of a prime, wine-producing land has reached a tense stalemate. Walking along a white-pebbled beach lined by dense bamboo, Elga Tenaglia, a campaigner in her 30s, gestures out across the Adriatic Sea. "I see these cargo ships - oil ships, I call them - and it disturbs me," she says. "Before, when I saw the sea I could breathe, I could relax. Not any more. Now I see them and it makes me think that things are about to change." For years, the Italian oil giant ENI - one of the biggest firms in the country - has invested in this region, uncovering potential oil reserves off the coast and inland. Campaigners from the conservation group WWF claim that now 50% of the region is being explored for oil - right to the edge of its vast national parks, home to a rare species of bear. 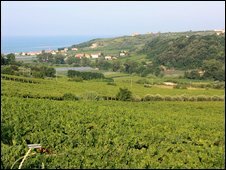 Just a few miles up the coast from the beach, ENI - in which the government holds a 30% golden share - has bought some 12 hectares of prime vineyard. Supported by local politicians and businessmen keen to bring much-needed investment to the region, they chose this site to build an oil centre. It was, according to local officials, to be a desulphurisation plant, the first stage of purifying and filtering crude oil. Down a bumpy track between rows of vines that overlook the sea, I find Lina, a 60-year-old farmer who sold some of her land to the oil company. Spray-painted to the wall of a store in the middle of the vineyard there is a message, telling ENI to "get out". But, she tells me, she was under no pressure to sell her land, that it was a collective decision made by the farmers. "They say it's bad, this oil centre. Is it bad? They're not going to build it now, are they?" she asks, confused. In May, ENI did indeed quietly announce that it would not go ahead with the Ortona plant. The news came as it announced plans to invest in the nearby University of L'Aquila - the city devastated by April's earthquake. It pledged to look into the viability of building a heating plant, partly fuelled by biomass and "based on rigorous environmental sustainability standards" near the town. But, so far, despite repeated requests, it has refused to clarify its future plans for the Ortona site. For the mayor of the town of Ortona, with a population of 23,000 and a faltering tourism industry, the company's decision to put the project on ice is a disaster. I meet Nicola Fratino under the clock of the small town's main square, as swallows dive overhead. He doesn't hide his fury at how a project he worked on for years has disappeared into thin air. "It's a tragedy for this town," he says. "We've chased away the 16th largest corporation in the world from this region, we've said no to a company that wanted to invest 600 million euros here, we've lost 1,000 jobs and entrepreneurs like myself - and hundreds of others - are going to suffer massively." Campaigners allege that a firm linked to Mr Fratino, called Bonefra, stood to gain directly from ENI's presence in the region. 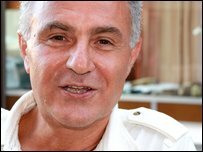 They claim he won two contracts worth a total of more than one million euros from ENI. It is a claim he denies. ENI has refused to comment on the allegations. "First of all, I'm a shareholder, not a CEO of the firm. Bonefra - a company which, by the way, I only hold shares in, I'm not the CEO, never got a single contract - not for a million euros, not even... Listen, we took part in about 50 bids and I think we might have won one to manage the transfer of goods in the port for about four or five thousands euros, no more." He said the plant would have brought valuable jobs to the region, as well as the massive investment the oil firm would have made to compensate for the environmental impact. 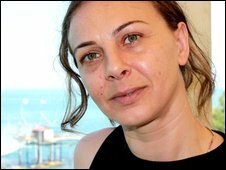 He even expresses grudging admiration for the work of campaigners - spearheaded by Italo-American physicist Maria-Rita d'Orsogna - whose flurry of blog postings, video clips and public meetings succeeded in raising public awareness of the project. But why, I ask Ms Tenaglia, should Italy's pretty countryside be spared this fate for other places in the world to supply the country's energy needs? "The other day I read that they were going to build a refinery in the middle of the rainforest. And I thought - why am I complaining about what is happening here, in Abruzzo?" she says. "But this oil, it'll be here for 20 years and then what? When it is over there won't be a future - no sea, no hills, no green. That's it. I don't want that - not for me but not for anyone else either. I'd fight this battle anywhere."